After stumbling through much of the 70's without a hit since 1970's "Lola," cranking out lukewarm concept albums for RCA (Preservation Act 1, Preservation Act 2, Soap Opera and Schoolboys in Disgrace), somehow music legend Clive Davis remembered Ray Davies could write a damn good rock song, and signed them to his Arista label. Leave it to "Mr. Golden Ears" to basically tell Ray to forget about the concept records and artsy pretensions meant for the cutout bins, just write those witty rock songs we know you can do. Mr. Davies obliged on the Sleepwalker album, taking a big leap forward of ripe overdriven power chords, acerbic observations on gigging ("Life On The Road"), a woman who can't stop dancing ("Juke Box Music"), and even failed suicide ("Life Goes On"). Happily, the title song broke through on FM radio play, floating on air guitar ready riffs and lyrics that, well, have more than one interpretation 30 years on. A vampire? A stalker? A guy who is just flat out losing his marbles? Davies has written about so many crackpots over the years, any scenario is possible. I personally like the break where the music dies down, the piano plinks, Davies bounces from speaker to speaker and then that E major riff sledgehammers its way back into the scene. Ev'rybody got problems, buddy. I got mine. When midnight comes around, I start to lose my mind. Ev'rybody got secrets that they wanna hide. When midnight comes along, I take a look inside. When ev'rybody's fast asleep, I start to creep. Through the shadows of the moonlight, I walk my beat. When the night time comes, I start to creep. I prowl around when you're fast asleep. And I get into places that nobody knows. I'm always around if you wanna meet. You can find me on almost ev'ry street. You'll always get me on the telephone. I'll even come to your home if you're ever alone. Luckily, Sleepwalker was just the beginning of a raft of excellent Arista albums, one of which yielded their big comeback single, "Come Dancing." That was a silly song, but if it drew listeners back to the Kinks in massive numbers, my tongue is held. 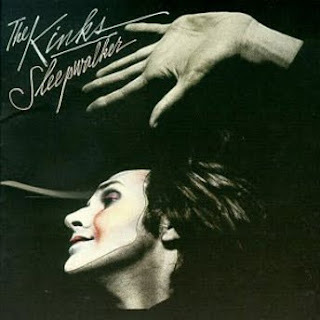 Here are the Kinks live with "Sleepwalker."